1. California experienced the driest first two months of any year on record, raising serious concerns that the state may be headed for water shortages in 2013. The Chron reports that the Sierra snowpack is just 66 percent of normal, down from 134 percent two months ago, following a wet December. Only 2.2 inches of precipitation, on average, fell in the Sierra during January and February, breaking the previous record low of 4 inches set in 1991. 2. 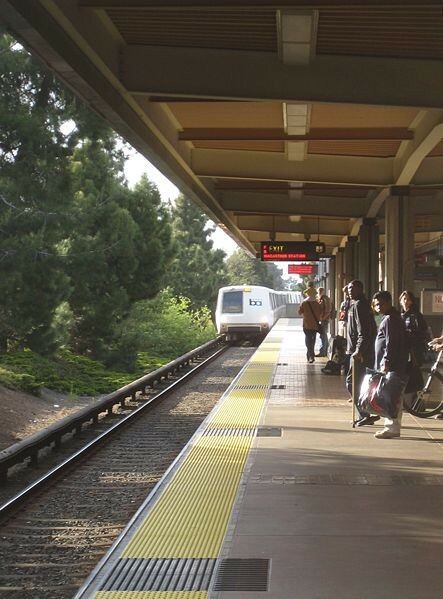 The BART board of directors voted to raise fares and some parking fees yesterday, the Mercury News reports. Fares will increase at the rate of inflation. And the cost to park will rise for BART stations with crowded parking lots, but decrease at those with empty parking spaces — a system known as congestion pricing. 3. Berkeley’s unemployment rate has dropped to 7.8 percent, down from a high of about 13 percent in 2010, the Trib reports, citing a new city report. Berkeley’s jobless rate is also lower than the Alameda County average of 8.2 percent and the state rate of 9.7 percent. 4. Several school districts, including Oakland, have asked the Obama administration for a waiver from the strict requirements of the federal No Child Left Behind law, the Chron reports. Many schools in Oakland are facing serious sanctions for failing to live up to No Child Left Behind, but the Obama administration previously turned down a waiver request from the state of California because it refused to comply with a requirement that teachers be evaluated based on test scores. 5. And family literacy programs may be eliminated in Oakland as a result of a state decision to transfer adult education classes to community colleges, the Trib reports.